Oh I love those bright colours! Are the flowers felt? They're gorgeous. A lovely card Ruth , I love the cute image. Cute image but love what you have done with the papers. Its so bright and cheery Ruth. 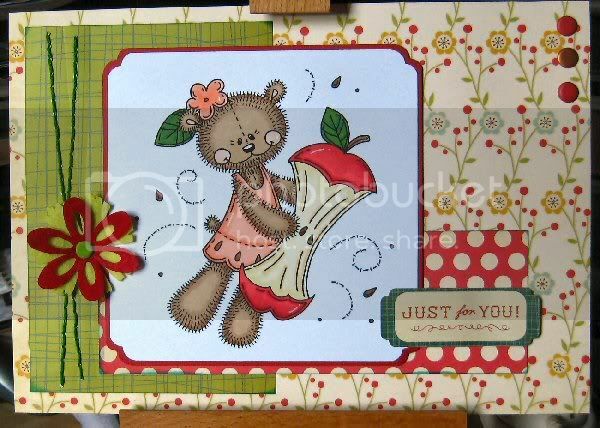 I know I'm odd but I like the flying apple core, those backing papers and flowers are great together and the muted colours just right for this time of year.